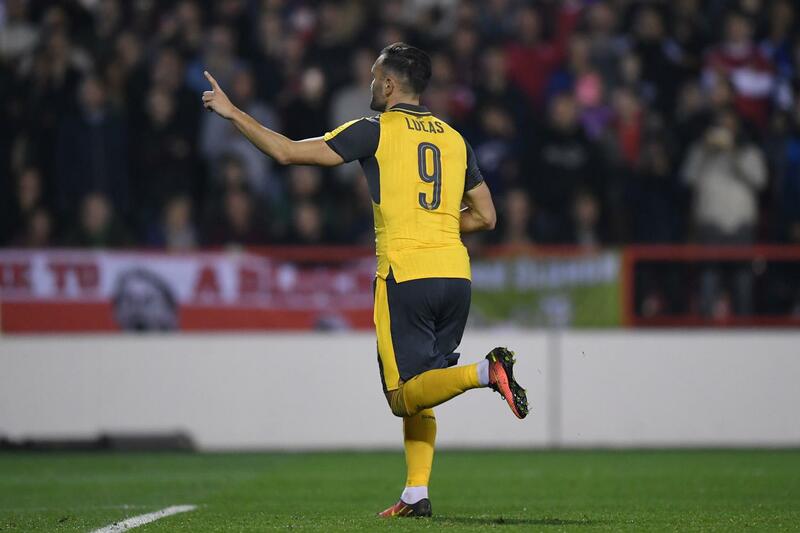 Arsene Wenger signed Lucas Perez so late in the summer transfer window and he had to wait till September before making his long-awaited debut against Southampton, which was also his birthday. He provided an assist on the day but the fans had to wait till the EFL Cup tie against Nottingham Forest to see the Spaniard break his Arsenal duck with a brace. As the weeks went by, Perez struggled with injuries and when he returned to full fitness, he found first team football hard to come by. Yes, he featured in the lower cup competitions and scored some decent goals but it was evident that the quality of the player wasn’t without doubt. Perez featured in just 11 league games with his only goal coming in the 3-3 draw against Bournemouth. Perez cost the Gunners around £17.1 million and I have my doubt that Arsenal would be able to recoup what they paid for the want-away Spanish forward. Maybe he was cursed by the #9 jersey that haunted Eduardo da Silva and Lukas Podolski before him but it was an extremely disappointing season for Perez by his standards. Coming off a 17-goal season, he failed to reach the heights expected of him but you have to also acknowledge the fact that he wasn’t favored by the manager. Another issue was the mere fact that he was so far down the pecking order in the attacking positions. There was a period where Alexis Sanchez was Arsenal’s alpha dog in attack with Olivier Giroud and Danny Welbeck waiting in line to get a run in the team. Perez spent extended periods on the bench and he was close to even leaving in January. I’m pretty disappointed to see how his campaign panned out with us and with his itching to leave this summer, we would need to find an adequate replacement that would be able to battle hard with the likes of Giroud and Welbeck for the striking position. Welbeck and Giroud offer the club different dynamism in attack but with Perez potentially leaving after just one season with us, Arsene Wenger and co. will have to come up with the goods to provide a world class replacement, rather than another guy that would do a Perez next season. In a career that started in Atletico Madrid’s youth team that saw him play in Rayo Vallecano, Karpaty Lyiv, PAOK Salonika and his hometown club, Deportivo de la Coruna, it seems like Lucas Perez watch with Arsenal is about to end with the likes of Sevilla and Deportivo interested in his services. Posted on June 3, 2017, in Arsenal, Football, Premier League, Transfer Gossip and tagged Arsenal, Football, Lucas Perez, Premier League. Bookmark the permalink. 11 Comments. I see perez as a very useful squad player at arsenal..somtin similar to jaunuzaj at utd….d problem is arsene’s stiffness in rotation and substitutions..dere were so many games perez shud av started ahead of walcott (with d 4-2-3-1), or come on. To replace ozil early enof (using d 3-4-3)..bt wat did arsene do?…he sat and just let him rot…he. Even did. Same with iwobi towards d tale endd of d season…bottom line is we are were we are today with perez who i feel is a good player cos of wat we all know abt wenger(poor timing of changes and weak rotation system). Lucas Perez did not have a disappointing season!!! Alert, alert, alert: Arsene Wenger did!! He doesn’t know how to use his players!!! Why did he did Theo WALCOTT after Crystal Palace, he criticized the readiness of his players. Wenger wants yes men and Perez is clearly not cut from that cloth he wants to play and deserved to play!!! How did Ozil remain a starter after his awful run? Why was Per Mertesacker selected as captain? Why can’t we recruit players in England? Wenger… Wenger….Wenger!!!! I applaud Perez for refusing to sit and accept a paycheck without playing!!!! Joel Campbell!!!!! That hat-trick was excellent. I’m sorry that he is going, although I don’t blame him – he was never given a fair go. Why buy someone and then not play them? We have been here before! Anyway, all the best, Lucas, you are better than AW seems to think.